Accessories to further enhance the benefits of your hearing aids. Equipment built purposely for musicians and those that regularly listen to music in loud settings. 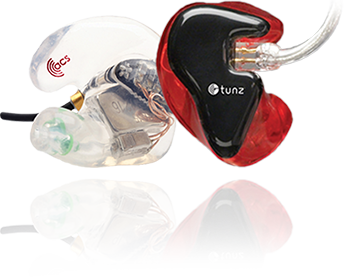 The ACS In-Ear Monitors and the Tunz Custom Earbuds are packed with technology to provide you with both hearing protection and quality sound so that you hear every note clearly. If you’re a musician or passionate music fan, contact us today to discuss these custom fit in-ear monitors. Never miss another word in your phone conversations with a captioned telephone. 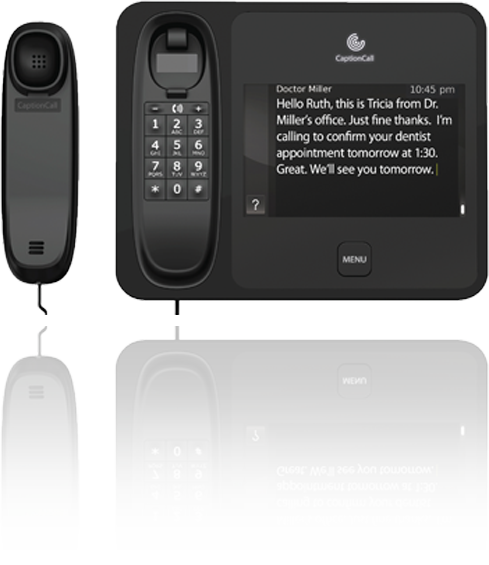 As you’re speaking with an individual on this phone, the screen will display their words using voice recognition technology. The CaptionCall service and phone is free for those that have a signed certification of hearing loss from a hearing care professional. Please contact us to discuss the CaptionCall service. Experience control and a modern, easy-to-use experience with your hearing aid by utilizing a smartphone app. The ConnectLine app pairs with AGX MediaLink devices via bluetooth, and gives you several options in the palm of your hand. 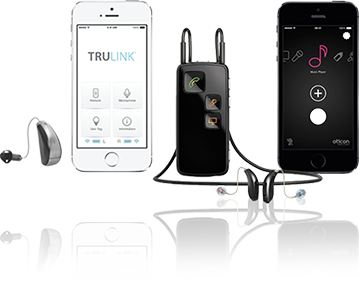 TruLink is another app that connects with Made for iPhone® Hearing Aids. Packed with features that improve your hearing experience, you can stream phone calls, FaceTime audio, music and sound from your television or computer via bluetooth. You will also enjoy the “Find My Hearing Aids” feature that will assist you any time you can’t locate your devices. SurfLink devices allow you to control various wireless options that are connected to compatible hearing aids. SurfLink Media is a device that you can plugin directly into your TV, radio or MP3 player to stream audio to your hearing aids. Multiple people with compatible hearing aids can connect to a single SurfLink Media device. SurfLink Mobile transmit cell phone conversations to your hearing aids, and also wirelessly plays audio from bluetooth-enabled TVs or audio players and can also act as an assistive listening device in group settings. SurfLink Programmer is a device used by hearing care professionals that allows us to quickly and easily fit and customize your hearing aids. 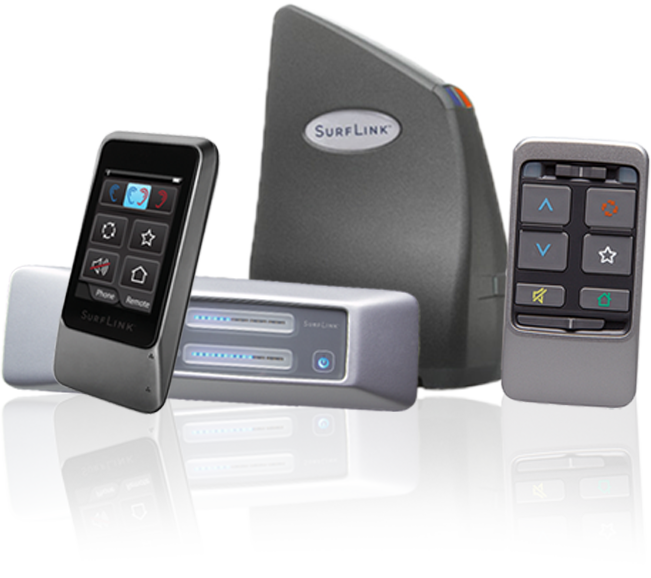 SurfLink Remote is a more traditional device that allows you to store specific settings for your hearing aids.